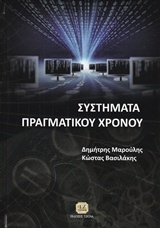 The Real Time Systems and Image Analysis (RTS-Image) lab at the National & Kapodistrian University of Athens, Greece is an active research group working for more than 15 years on state of the art research contributions in the broad areas of image analysis and pattern recognition, with a special interest on cutting edge biomedical applications. As a result of the lab's research activity more than 160 scientific articles have been published, including articles in: 1) prestigious peer-reviewed international journals such as IEEE Transactions on Medical Imaging, Pattern Recognition, IEEE Transactions on Cybernetics, BMC Bioinformatics and IEEE Transactions on Biomedical Engineering, 2) book chapters, and 3) highly ranked international conference proceedings, such as IAPR ICPR and IEEE ICIP. This activity yielded software and hardware systems applicable on diverse domains including bioinformatics (e.g. microarray or 2D-gel electrophoresis images), endoscopic data analysis, thyroid ultrasound image analysis etc. The resulting body of work currently counts more than 1600 citations in scientific literature. RTSImage has successfully participated in several EU and national R&D projects (a list is available here). RTS-Image is currently staffed by two faculty members, three post-doctoral researchers and four PhD students, while it has also active interdisciplinary members sharing their expertise, from Athenian public hospitals, technological institutes and the Bioacademy of Athens.